To coincide with international events and publication of the World Atlas, we publish maps and posters showcasing dam and hydropower construction regionally and internationally. 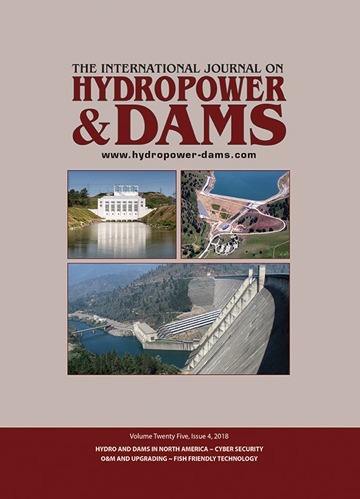 World Maps of Hydropower & Dams are published each year, to coincide with the World Atlas & Industry Guide. These show major schemes (> 60 m high dams) under construction, the total numbers of dams of all sizes in operation in each country, and statistics on hydropower capacity and production. Regional Maps are published to coincide with various international events. So far, Maps have been published to show water resources development projects under construction in Africa, India, Turkey, China, Europe, Latin America, North America, Korea, Japan, China, Iran and Russia. Our Technical Poster series are an attractive source of reference for all those interested in water resources development projects worldwide. Posters have been published of: the Bieudron powerplant, Switzerland; the Guangdong pumped-storage scheme, China; the Freudenau powerplant, Austria; the Goldisthal pumped-storage scheme, Germany; and the Kárahnjúkar dam and powerplant in Iceland.A Map of Hydropower & Dams in Africa was published to commemorate AFRICA 2017 in Morocco; The World Map of Hydropower & Dams 2016 was distributed with the World Atlas and Industry Guide in August/September. Technical posters are generally produced to commemorate major international conferences, such as ICOLD Annual Meetings or H&D’s annual Hydropower conferences, or for project inaugurations. They are co-sponsored by some of the leading companies in the profession, and give an opportunity for these companies to demonstrate their expertise in these major projects which supply water and power to the world. Around 10,000 copies of each map or poster are produced. They are distributed to: readers of Hydropower & Dams; members of the main water- and energy-related professional associations such as ICOLD and ICID; and delegates attending major international conferences and exhibitions throughout the year of publication. Co-sponsors receive 100 free copies, for distribution to key clients. Co-sponsors are entitled to a white box, prominently displayed on the poster, containing their logo in colour, details of their area of expertise, and full contact details (in black text).